The Daimler-owned brand “smart” will be rolling out its new 4th-gen electric drive technology across its entire lineup in early 2017. That means there will be electric versions of the smart fortwo coupé, the smart fortwo cabrio, and the smart forfour 4-seater. What this means is that smart will apparently be the “only car manufacturer worldwide to offer its full model range with both combustion engines and pure battery-electric drive options,” according to Daimler. Interesting, but not that important. I’d rather see Daimler’s Mercedes-Benz release a serious challenger to the Tesla Model S. But that’s just me personally — I’m not the person in charge of EVs at Daimler. As far as the new smart fortwo electric drive, pricing within Germany will reportedly start at €21,940 (this includes the 19% VAT). 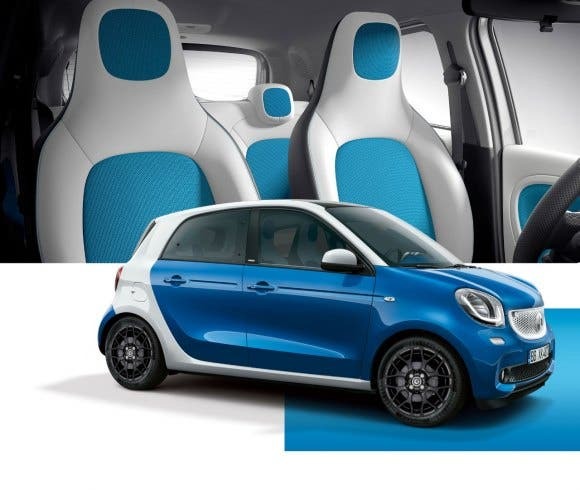 As far as specs for the smart fortwo, what you’ve got is a 60 kilowatt (kW), or 81 horsepower, electric motor, which is installed at the rear. Range, going by the heavily faulted New European Driving Cycle (NEDC) testing cycle, is 99 miles (160 kilometers) per charge. Torque is 118 lb-feet (160 Nm). Notably, the 17.6 kWh (kilowatt-hour) lithium-ion battery packs being used in the new smart electric models are being manufactured at Daimler subsidiary Deutsche ACCUMOTIVE’s facility in Kamenz, Saxony (Germany). Also notable is that, beginning in late 2017, “a particularly powerful 22 kW fast charger will be available as an option in Europe.” An improvement, but still rather underwhelming considering that the Tesla Model 3 will actually be hitting the market around that time (or should be, according to the company).